These three fundamental principles have been the pivot of production system for more than13 years. Every product is closely finished to the smallest level of detail, this starts upfront when conceived by our designers, passing through the prototype phase to production and right up to assembly and quality control for each and every product. 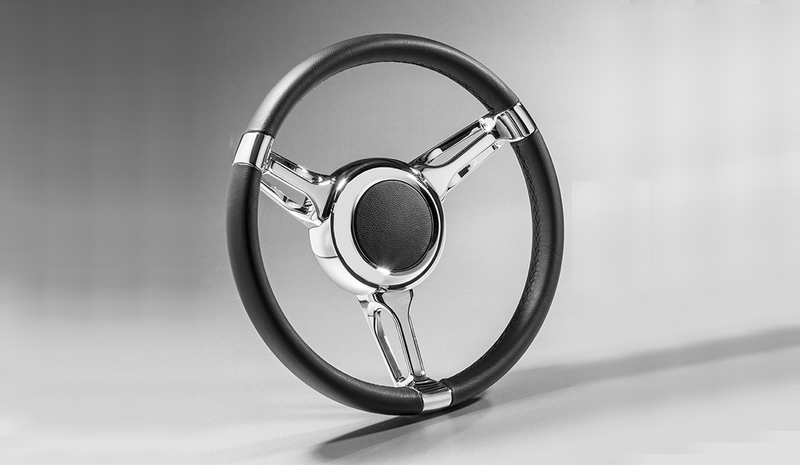 ISOTTA turns the concept of sporty steering wheel upside down with the use of a double vertical perforated spoke. 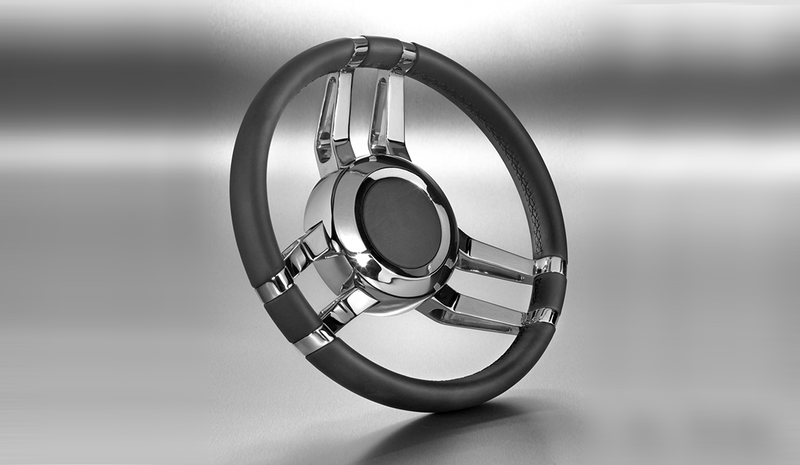 No.1 steering wheel in Europe, its strong point is innovative design. Custom hubs designed by Zeiger Industries. Complete the quality look from wheel to dash and mated to Zeiger tilt helm or standard helm kit. You won't find a better marriage anywhere. Hubs & adapters designed to fit Carlotta, Zulag, Katiena, Prestigio, Marabel & Vallelunga.